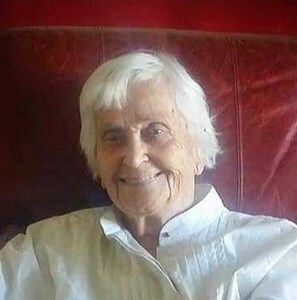 Newcomer Family Obituaries - Mary Jane Dean 1920 - 2019 - Newcomer Cremations, Funerals & Receptions. Mary Jane Dean (nee Cummins), 98, passed away Feb. 7, 2019. She was preceded in death by parents, Chancey Joseph and Rena Mae Cummins; husband, Oscar Jackson Dean; daughter-in-law, Susan Dean; son-in-law, Gerald Chapman; granddaughter, Mandy Dean; great-grandson, Brian Chapman; brothers, Edward, Joe, Carl, Fred, and Chancey Cummins; sisters, Ellen Cummins, Doris Nibert, June Cave, and Alice Egelhoff. Mary Jane is survived by daughter, Susan Chapman; sons, Michael (Carol), Desi (Cindy), Jackson, and Samuel (Julie) Dean; 18 grandchildren; 14 great-grandchildren; 7 great-great-grandchildren; sisters, Patricia Ann Latorri and Nettie Lucille Cummins; many nieces and nephews. Mary Jane was a Major in the Civil Air Patrol. She attended Widner College. Mary Jane was instrumental in adjusting fishing laws for minors in PA. She received gold medals in the senior Olympics and kept her driver's license until the age of 97. Mary Jane did not let things happen -- she made them happen. Visitation Wednesday, Feb. 13, 2019 from 5-7pm with Funeral Service starting at 7pm at Newcomer, SW Chapel, 3393 Broadway, Grove City, OH. Donations may be made to the Melanoma Research Foundation, P.O. Box 759329, Baltimore, MD 21275-9329. Add your memories to the guest book of Mary Dean. There are so many memories to share. The one I remember the most, is how much Aunt Mary loved her family. Aunt Mary was the best pie maker especially her egg custard pie. Aunt Mary was very loving and a wonderful person to be around. We will miss her and her family will be in our thoughts and prayers. Our sympathies to the family of Aunt Mary. She certainly was a spunky and loveable lady! Rest in peace on the other side Aunt Mary with other loved ones. I am deeply sorry for your family’s loss. Losing a loved one in death is one of the hardest things anyone has to go through. However, this is not something our loving God ever wanted us to experience. He promises that soon all sickness, pain, suffering, and even death will be done away with forever (Revelation 21:3,4). I will never forget our trip to New York together and climbing to the top of the Statue of Liberty. I think I was more out of breath by the time we reached the top (I was 12 and she was 68!). I will miss MeeMaw always.